For the buyers, closing on their new home is an exciting and rewarding experience – often the result of years of saving, a careful search for the right property, and expert guidance from a caring and well-informed agent. The one thing no buyer needs or wants is the discovery of a cloud or defect in title that threatens to cost them money, disrupt their peace of mind, or potentially even invalidate their right of ownership. Common title defects range from unpaid real estate taxes by a prior owner to errors to fraud or forgery in the chain of paperwork to outstanding liens against the property. They may include undisclosed child support liens, discovery of a later will after a first will was probated – even such unlikely events as an old deed executed under a faked power of attorney. Title insurance companies search the public records to find and clear any such issues before closing. But despite even the most thorough search, hidden clouds or defects may exist – and so unlike auto or life insurance policies, which protect against losses that occur after the policy is issued, the title insurance policy issued at closing protects against losses that may have occurred before the time the policy was issued. Nearly all lenders require the homebuyer to purchase lender’s title insurance for an amount equal to the loan. The policy is typically paid for with a one-time premium at closing and remains in effect until the financed amount has been repaid or the property is refinanced or resold. 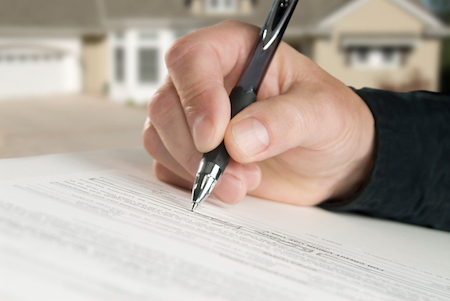 Either the home seller or the home buyer may purchase an owner’s policy. In some areas, sellers pay for the owner’s policy as part of their obligation in transferring title. Who shall pay may be negotiated during the purchasing process. In any case, the owner’s policy protects the buyer against covered losses arising from any previously unknown title defects that existed at the time of purchase – and/or that became known only after the transfer of ownership. The owner’s policy remains in effect as long as the owner maintains ownership of the property.